Anthropogenic nitrogen (N) deposition has accelerated terrestrial N cycling at regional and global scales, causing nutrient imbalance in many natural and semi-natural ecosystems. How added N affects ecosystems where N is already abundant, and how plants acclimate to chronic N deposition in such circumstances, remains poorly understood. 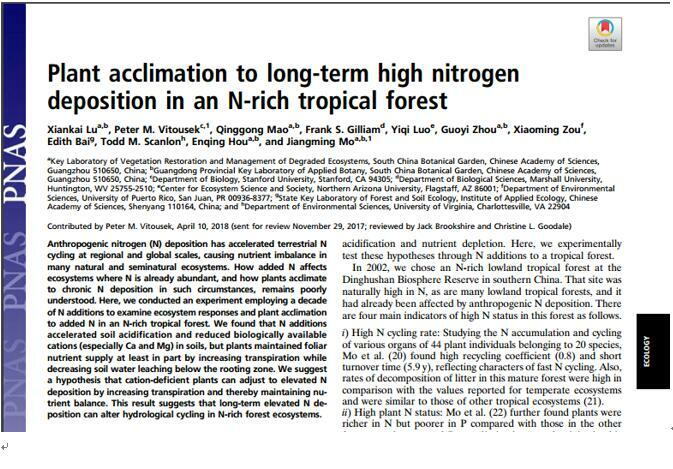 Dr. Xiankai Lu and his colleagues conducted an experiment employing a long-term N addition to examine ecosystem responses and plant acclimation to added N in an N-rich tropical forest. 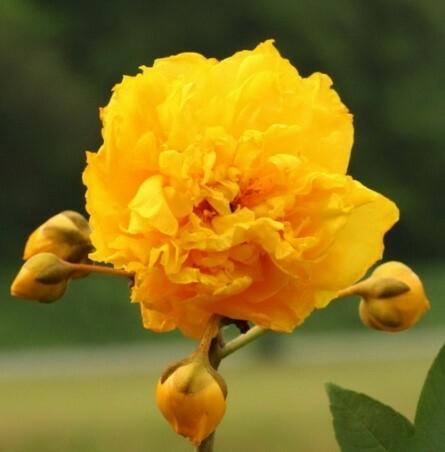 They monitored plant growth dynamics, forest nutrient status, plant water-use, and water losses from the ecosystem for a decade. They found that plants can acclimate and maintain nutrient balance by altering hydrological cycling. Based on these findings, Dr. Lu et al. suggested a hypothesis that cation-deficient plants can adjust to elevated N deposition by increasing transpiration and thereby maintaining nutrient balance in N-rich ecosytems. These results demonstrate that while elevated N deposition to already N-rich tropical forests may have minor effects on forest growth, it can exert a detectable influence on hydrological dynamics. If it is a widespread feature of N-rich tropical forests, continued development by present pathways could have substantial effects on municipal water supply in rapidly-developing tropical regions.